The Star in Sydney celebrated the official opening of its new Poker Room on Monday evening by hosting a celebrity poker tournament, raising money for Save Our Sons – Duchenne Australia. Attending as MC and The Star ambassador, Emma Freedman (pictured, left) was among a mix of local celebrities to take part including Erin Molan, Laurie Daley, Ben Mingay, Olena Khamula, Erin Holland (pictured, right), Jeff Fenech, Wendell Sailor, Luke Burgess, Steve Menzies, Charlotte Caslick, Shannon Parry, Lanard Copeland and Krit Schmidt. Also participating, ahead of competing in this week’s World Series of Poker (WSOP) Circuit event at The Star was one of Australia’s top poker players and WSOP bracelet winner, Rory Young. 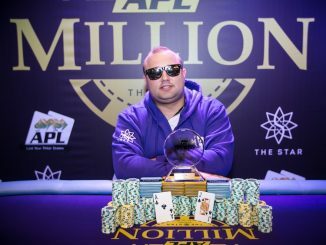 Poker Media Australia contributor Ben Blaschke was one of the four table champions of the shootout celebrity tournament, sharing a slice of the grand total prize of $20,000. Half of the winnings were donated to Save our Sons – Duchenne Australia and the other half to the charity of each winners’ choice. The four poker champions also earned themselves a seat in the WSOP Circuit Main Event starting 8 December. Another 471 players took part in a special $110 re-entry tournament on the night that saw 23 players win entry in the WSOP Circuit Main Event and raise almost $5,000 more for Save Our Sons – Duchenne Australia. There was plenty of excitement ahead of the opening event of the WSOP Circuit Series. It’s the first time the WSOP has visited Sydney with the various events running through to 12 December 2016. Sydney’s WSOP Circuit Event will also represent the first major tournament series to be held in The Star’s brand new poker room. 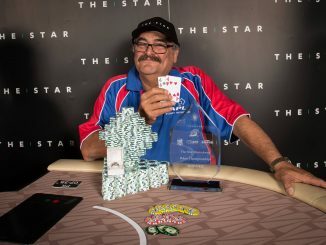 Fresh from the recent Sydney Championships, which attracted more than 2,000 players and a total prize pool of more than $2.5 million, the new poker room at The Star boasts 40 tables and can seat up to 400 players at any one time. 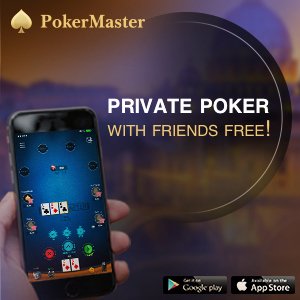 Managing Director of The Star, Greg Hawkins said, “The Star’s Poker facilities are world class and we welcomed the opportunity to introduce guests to experience it ahead of the most recognised and revered tournament brand in poker, the World Series of Poker. “We look forward to the next few weeks of competition as we host some of the country’s best competitive poker players here at The Star”.